We recently got a Culver’s in good ol’ Naples. I was anticipating the opening of the restaurant for weeks but, had little plan of stopping by anytime after the opening. About a month after the fact, I got a chance to go – far sooner than I would have ever expected. I had seen Culver’s on a variety of TV shows, mainly for their custard. The custard looked like it would be delicious and, after reviewing of the menu, I figured the rest would be as well. Well, I’m here to say the custard is good however, the rest is Nothing to Run For. 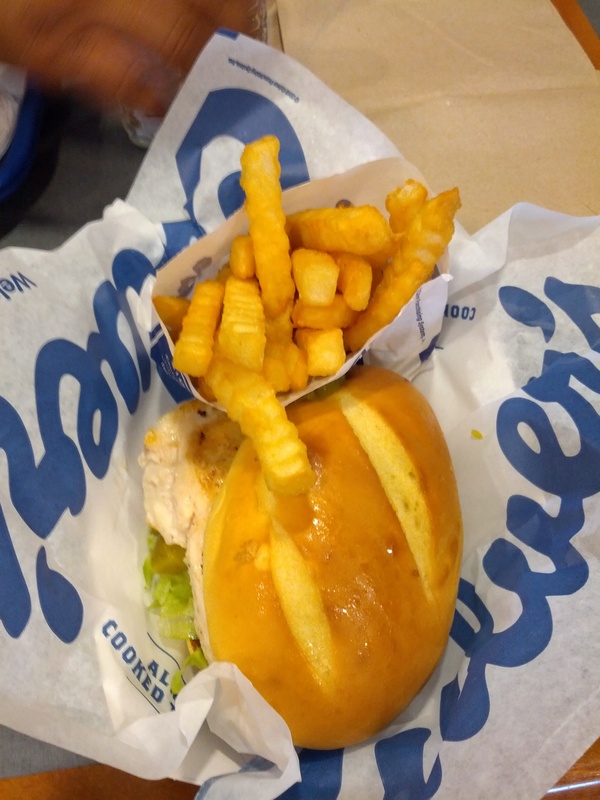 I decided to order a Grilled Chicken Sandwich, Fries and Cheese Curds for my first meal at Culver’s. I know I should have gone with the burger but, I was not in the burger mood. The first thing I started with was the Grilled Chicken Sandwich. As you can see in the photo, the bun was huge. Far too huge for the sandwich. I found it to be cold & lacking in flavor. I skipped a lot of the bun because it simply brought nothing to the table. As for the chicken, it was a little bit slimy and the flavor was completely lacking. I had to dip this into a ketchup & mustard mixture in order to even eat this. The toppings, while fresh, brought little to the table. As for the fries, they were of the crinkle cut variety but, were not too tasty. They were a little bit overdone for my liking and had very little flavor. I love crinkle cut fries but these were not even as good as the fries I make at home. The biggest disappointment were the cheese curds. 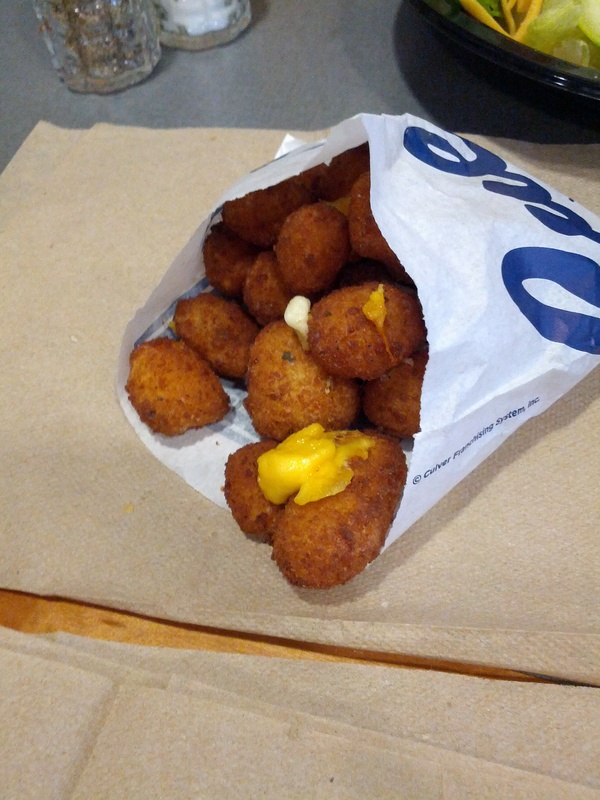 Besides the fact that they were a huge waste of calories, the cheese curds were just not good. The cheese inside the curd was overdone and lacking in flavor. The exterior of the curd was very crispy but really brought no flavor to the table. I ate some of these but, as they were lacking the traditional curdness I enjoy, they just weren’t worth eating. My experience at Culver’s, overall was nothing great. I did try the custard, but didn’t get a photo. I will review it at a later time, with a photo to accompany it. I did not like the grilled chicken, fries or the cheese curds…I will never eat any of these items again. The wait staff at Culver’s was fine but the ordering process was a bit confusing. To me, Culver’s was Nothing to Run For.